Most of us love the idea of having a lush green lawn in our garden. But the reality is often much harder than the dream – many different issues can affect the quality of your grass and a patchy, mossy lawn is often what we end up with! Fertilising your grass can definitely help to improve its appearance but regular lawn treatments can be expensive. Mulching is a great alternative to chemical fertilisers. 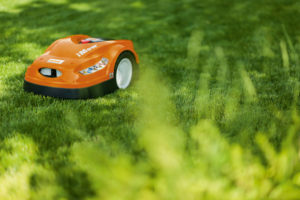 And it’s very simple – instead of collecting the clippings in a grass catcher box or bag when you mow your lawn, mulching mowers shred the grass finely and return it to the turf as a natural, organic fertiliser. It supplies the lawn with just the right nutrients it needs, including nitrogen, phosphorus and potash. A study by the Vienna University of Natural Resources and Applied Life Sciences showed that mulching improves the root formation of grass. The respiratory activities of soil organisms increase by 20 – 40%, resulting in a lawn that grows more vigorously and is denser and greener compared with a lawn where the grass clippings are collected. By strengthening the grass, mulching also reduces the number of weeds and helps to prevent the formation of moss. So how do you mulch? We have some dedicated mulching mowers in our lawnmower range, but many of our standard mowers can also be fitted with a mulching kit (which can be bought as an additional accessory). 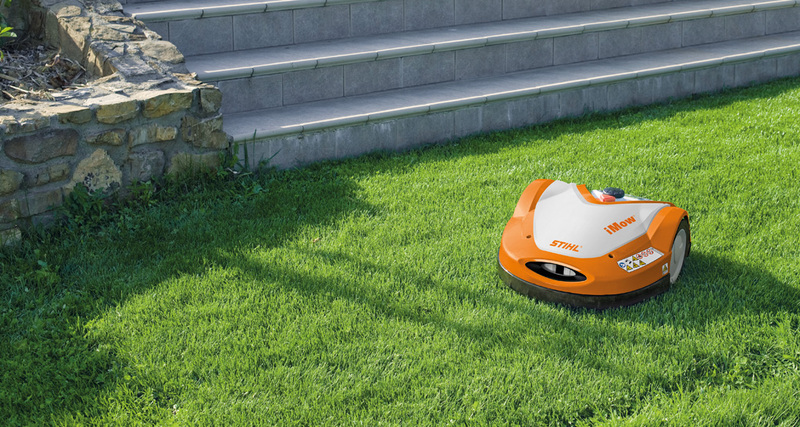 iMow, our robotic mower, is a mulching mower too – it mows little and often so that fine clippings are returned to the lawn on a regular basis. If you don’t have an iMow, and you are using a manual mower, there are a couple of points to be aware of if you want to start mulching. The grass shouldn’t be too long when mulching, because clippings that are too long can clump together and won’t break down into the lawn as quickly. These clumps can also cause problems with the performance of your mower if they start to build up around the blade and deck of your mower. Take between a quarter and a third off the height of the grass for each cut. When your lawn is growing at its quickest, you should mulch your lawn up to three times over a two-week period. This may seem like a lot of mowing, but you will save some time with each cut as the grass catcher box won’t need to be emptied. Avoid mulching when it’s wet. 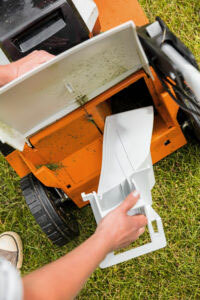 The small clippings can clump up when moist which can build up underneath the deck of your mower, and again, won’t break down as quickly on the lawn. One last thing to consider is how often you can mow – if you are away from the garden for a holiday or during or a period of bad weather, the grass may grow too long to mulch. This is where a separate mulching kit can come in handy – it lets you convert your traditional cut and collect mower into a mulching mower and back again, with a few simple adjustments. Have you tried mulching before? Have you seen an improvement in your lawn? Tell us how you fertilise your grass in the comments below. Interested in a mulching mower? 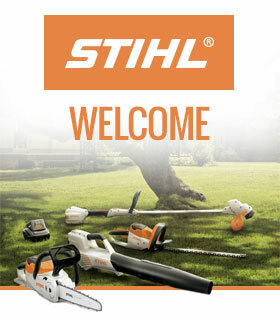 Find your nearest STIHL Dealer.